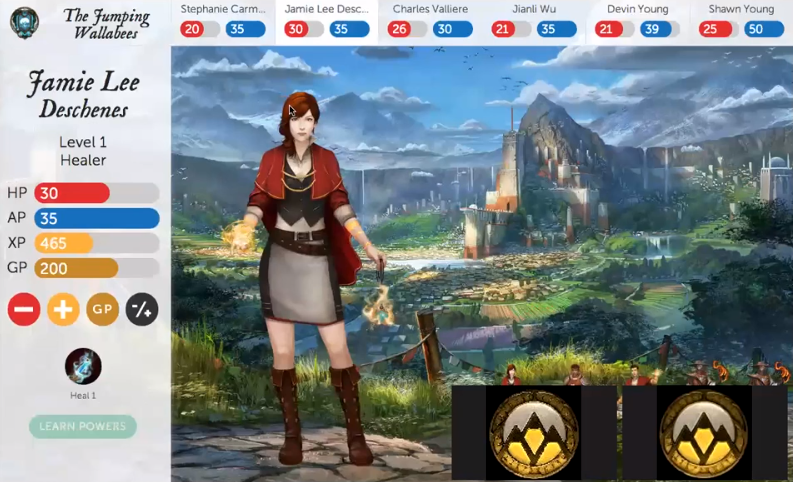 Classcraft Introductory Webinar - 2015-01-21 from Classcraft on Vimeo. The most popular post on our Try It Tuesday blog was the one we wrote last year on Gamifying Your Classroom. In this post, we're introducing you to Classcraft, a free online tool you can use to turn your classroom into an immersive role-playing game. In Classcraft, each student can choose to become one of three character types--a mage, a warrior or a healer. Each character has different powers that can be activated as part of game play and these powers change as they gain levels in the game. Students work in teams and can be rewarded (or penalized) both for individual actions as well as for actions that impact their teams. As they progress through the game, they can earn experience points and gold pieces that allow them to customize their characters and obtain new gear, including pets. Instructors can also assign rewards and penalties for different classroom behaviors--for example, help a teammate with their work and earn experience points. Show up late to class and your character may lose health points and ultimately fall in battle! The image below shows an example of the kinds of behaviors that might cause students to lose hit points. You can run the game using a laptop and projector or it can run on individual iPads or iPhones. You have options to reward or penalize individuals, teams or the entire class and students can use their "powers" to help each other, thus building their collaborative skills. The video at the top of this post gives you a thorough overview of gameplay, as well as all of the features and how they can be used in the game. Classcraft will work best in support of a classroom-based setting. You could introduce it at the beginning of a program and use it throughout, or you might experiment with using it to support a particular unit or portion of the curriculum to see how it works. For more on Classcraft, check out their website here. And if you give it a try, leave us a note in comments to let us know what you think.